If you have ever wanted to become a seller on eBay, you may be concerned with all the shipping an eBay store can generate. But shipping your eBay items is as easy as clicking a mouse button to set up. You can track your shipments and print shipping labels all from one place at vipparcel. Our eBay seller tips starts by noting eBay has a handy tool called a shipping calculator. You can put this handy button onto your seller's page so you and your customers can see the exact cost to ship to certain zip codes. This makes it a breeze to sell on eBay as you do not even need to worry about figuring out how much to charge for shipping. Here's one of the important eBay seller tips to remember; offering your customer different shipping options will ensure you will have no problems getting the item to your customer in the time your customer requires. This means better feedback for you as a happy customer is much more likely to leave good feedback if they receive their item when requested. You may even offer shipping over seas or to foreign countries. Doing this will expand your customer base and allow you more sales if you offer this service. EBay makes it easy to ship to anywhere in the world your customers are located. More customers mean more sales for any eBay seller. There are four methods you can use to ship your packages; Federal Express (FedEx), United States Postal Service (USPS), United Parcel Service (UPS) and DHL. Each shipping method has many benefits and ease of use. Costs may vary between the four main shipping methods depending on how long you want to take to ships your items. 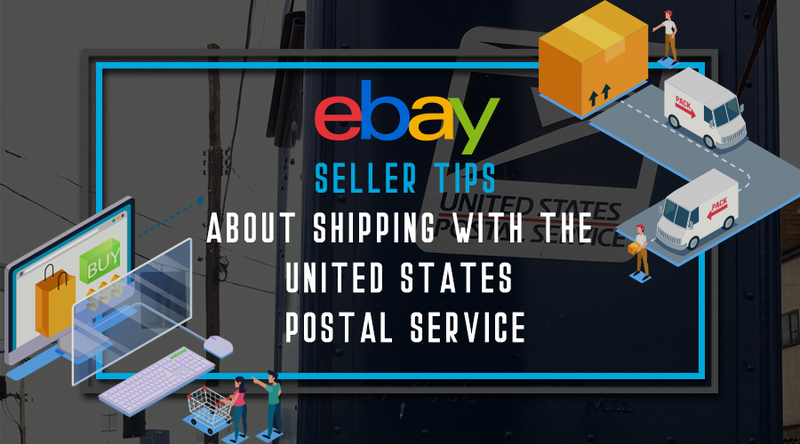 Here's one of the important eBay seller tips to remember – USPS is currently the best way to ship items over night. The costs are reasonable if your customer chooses an over night delivery option. You can also use USPS ground, which is a less expensive option and will take a few more days for your package to reach your customer. The United States Postal Service is a reliable time tested shipping method. This method is great for smaller packages that do not weigh a lot and with the handy shipping calculator, figuring out shipping costs is made easy and your customers will know exactly how much it will cost to ship each item they purchase. Finally, If you are shipping larger, heavier packages, USPS is a great way to go. USPS can handle large, over sized packages and will deliver to any part of the world. If your customer is not in a hurry to get their package or does not need it over night, this is a great option. Do not let the apprehension of shipping keep you from becoming an eBay seller. With all the tools eBay provides and the many delivery companies you can choose from, shipping with eBay is easy. These eBay seller tips should put you on the road to shipping success.